A unique tasting single malt, described as a work in progress because it has not yet reached what the producer's think will be ideal maturity. Each release is very limited and for this 4th edition just 9000 were available. Nose Home made marmalade. Incredibly rich with copious amounts of oranges, rhubarb and ripe pear amongst the sweetness of brown sugar and honey. Palate The tangy and zesty nose continues on to the palate and is enriched with flavours of toffee, fudge and cream buns stuffed with vanilla custard, coated with icing sugar. Finger licking good. Finish Sweet and spicy, with hints of aniseed and licorice. A surprisingly rich and full tasting single malt from Kilkerran's 5th series of works in progress..
Quite richly flavoured for a young Bourbon cask matured whisky. This is from the 5th release of Glen..
A superb sherry cask matured malt from the Glen Gyle distillery. 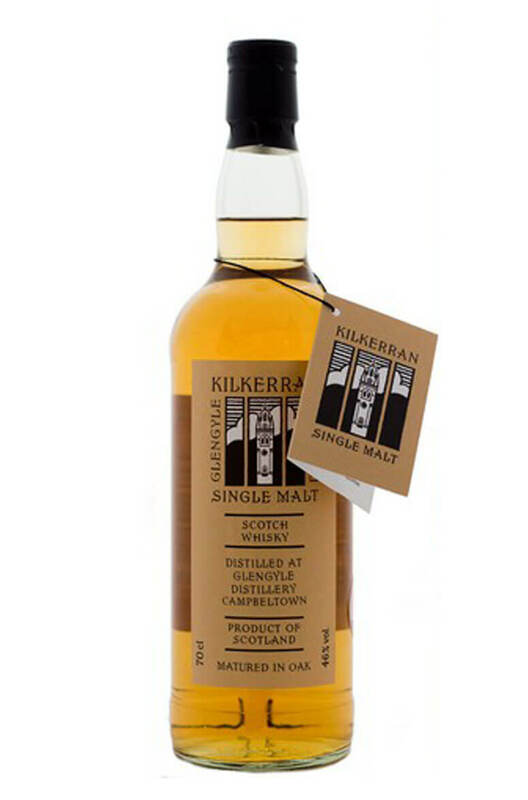 This has some lovely flavours of dr..
A high strength version of Kilkerran, a lightly peated single malt from the Glen Gyle distillery. Al..